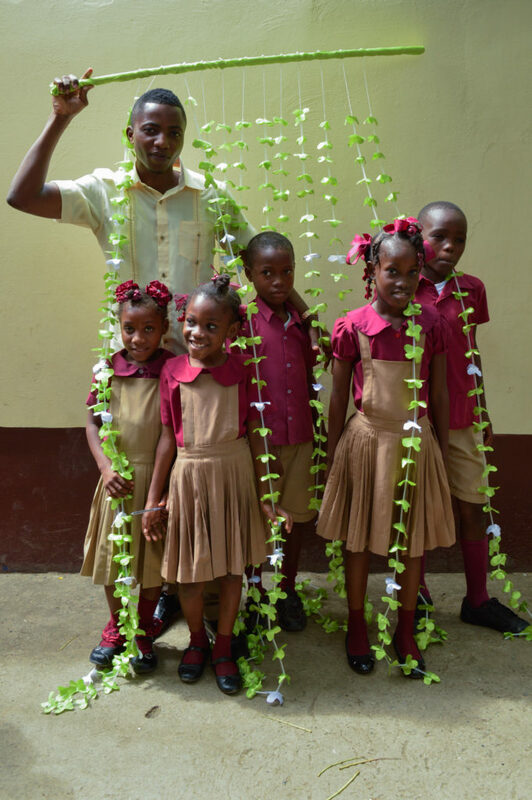 Today we bring to you fantastic news of our One Hen pilot program in Institution Nouvelle Etoile de Bethlehem, the school we support in downtown Cap Haïtien. As we mentioned in Tuesday’s blog post, (which you can read up on, here) we had 90 students participate in the first ever One Hen, “Yon Poul,” enrichment program to teach financial literacy, business skills and compassionate giving. Although we’ve been receiving monthly reports from program teachers and coordinators, it wasn’t until today that we were able to see the students’ “businesses” first hand. It is never an easy task to bridge deep-seated cultural differences to communicate, instruct and collaborate on any project. That said, we are incredibly pleased to announce the huge success of the first One Hen program! 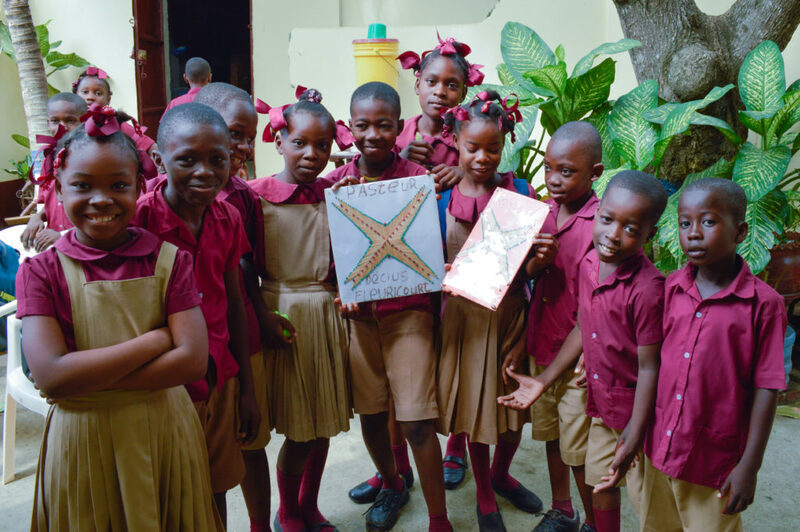 Upon completion of the workbook curriculum, One Hen students were given a $15 USD loan to create a business, as well as a product or service of their choice. They then had to communicate ideas, purchase supplies, and develop, market and sell the product. In this round of the program, five groups presented us with purses and wallets, homemade envelopes, customizable artwork, curtains and colorful bracelets. Costs of supplies ranged from 25 cents to $13 USD, all of which was covered in the loan. The students were given two days at the market to see their goods to the public, during which time every group nearly sold out of goods! That’s 25 bags and purses, 18 dozen envelopes, 23 pieces of artwork, 4 curtains and 24 bracelets, all created by third to sixth graders, and all sold for significant profit! All five of the groups that presented their projects were able to repay their $15 USD loan with interest, while also having enough profit to pay for next year’s program, donate to a local cause and, also, to celebrate with a party. This success affirms the value of business education for youth of countries in great need of healthy, sustainable business development. We look ahead, with great anticipation, to expanding our program to an additional 90 students! A huge thank-you to you, our faithful supporters, for providing the means to achieve this awesome milestone. Follow us on Facebook and Instagram (HelpforHaitiUSA) in the coming weeks to see real examples of these awesome projects!